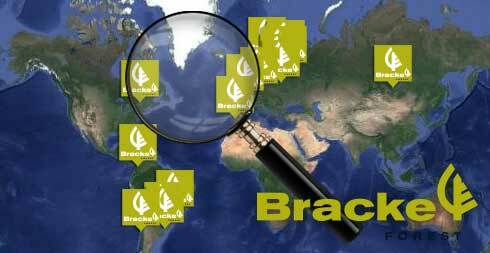 This website is controlled by Bracke Forest AB, and it is subject to the provisions of Swedish laws. The website can be accessed from various countries around the world. As each of these countries has laws that may differ from those of Sweden, by accessing this website you agree that the laws of Sweden shall apply to all matters arising from or relating to the use and contents of this website. All copyrights and other intellectual properties, including the entire text, images, sounds, software and any other material found on this website are the property of Bracke Forest AB. All registered trademarks appearing on this website are property of their respective owners. This website can be consulted and excerpts from it can be reproduced by using a printer, by downloading data on the hard drive and through distribution to other people, however, in any event, for informational purposes only and as long as the aforementioned copyright notice appears in each one of these reproductions. Any reproduction of the website, including in partial form, is forbidden unless it is for domestic use or for personal information. No reproduction of the website or parts of it may be sold or distributed for commercial purposes, nor modified or incorporated in any other job or publication, either in printed or electronic form. All unauthorized uses, or uses that are in any event contrary to the law, will be persecuted by Bracke Forest AB in a civil and criminal venue.